For our granddaughter's birthday last week I made her this personalized name wall hanging. Bought the letters and dial rod at Hobby Lobby and stained them with Tim Holtz Distress Ink after painting them white. Her favorite colors are pink and purple. 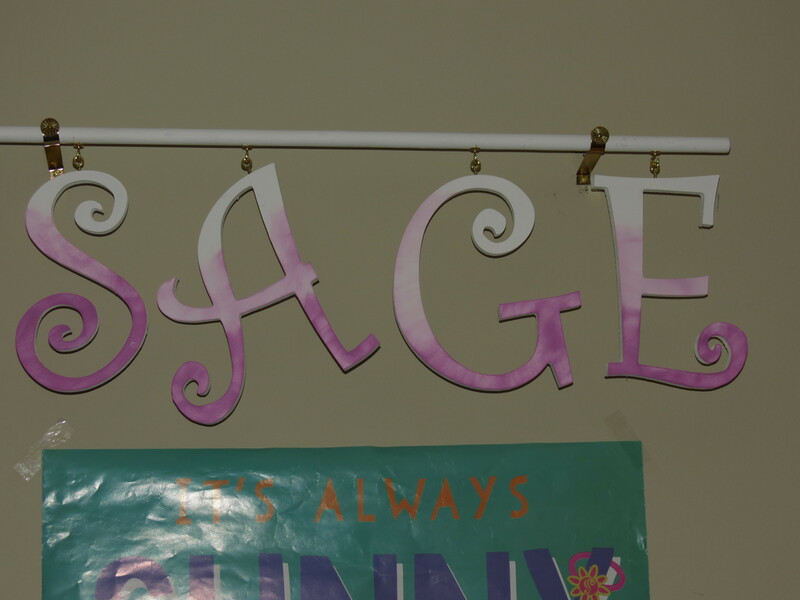 The letters are on hooks and the rod is hanging from a kitchen curtain rod bought at any hardware store. I had so much fun making this for her and she loves it. TFL and your nice comments.